Yesterday the game developers, Guerrilla Games company, announced a Season Pass, revealed its details, and showed new Killzone: Shadow Fall multiplayer trailer. So, besides two previously announced multiplayer maps that players will get for free, the developers are planning to release six packs with additional game content. 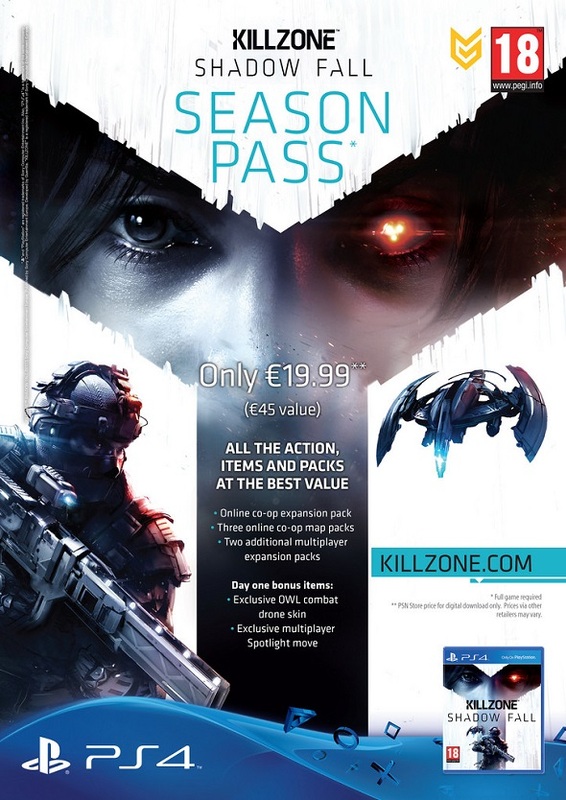 You can get all these DLCs by buying Killzone: Shadow Fall Season Pass, the declared cost of which is €19.99. So if you're interested in it, then the following information is for you. The first extended pack adds a new co-op game mode, where you and three your friends will have to fight against an infinite number of enemies on four brand-new maps. The next three DLCs will include two new maps (each), and they will be available for play only in cooperative mode. Finally, two last extended add-ons will give the players a lot of hours of awesome gameplay in the multiplayer mode. If you also purchase Killzone: Shadow Fall Season Pass on the day of game’s launch, you'll get a unique skin to OWL combat drone and exclusive Multiplayer Spotlight move for your character. In addition, the developers published fresh Killzone: Shadow Fall multiplayer trailer, which you can watch below. Killzone: Shadow Fall game will be finished on November 29 for PS4.